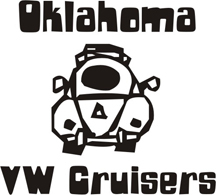 Oklahoma Vw Cruisers • Blown Cylinder Gasket? Commin home from Harrah the beetle started losing power and back firing with loud exhaust leak noise thats not related to the exhaust sound like a cylinder gasket to you VW gurus? Idles fines back fires when reving it up. Backfiring on decel? or all the time? what do you mean by a cylinder gasket? I figure either a blown cylinder gasket or cracked jug. No biggie. Ill get it fixed! There is no cylinder gasket. Nahh a cracked jug i doubt. Check the ignition system, make sure its all good. Check your carb jets arent blocked or dirty. hmmm Im leanin toward valve problems then.. The compression leak sound has me baffled. Im gonna take the valve cover off and look. a loose head can sound like an exhaust leak. Sorry sounds like an"exhaust leak" but louder. A loose head like stretched stud? Man I took of the valve cover and visually inspected rocker arms they were all tight. Didn't check stud though. Ill try that tomorrow maybe. check the bolts on the studs for the heads itself. Jim appreciate your help man. Thank you. its a t4 but it 'looks' similar to t1 for our purposes. I believe I burnt a piston ehhh #3 maybe. Jeez. Guess a winter build is in order! what leads you to that? Blow by coming out of the oil filler found eliminated all other possible problems. I think that the timing was off and I was using cheap gas in a 14:1 compression engine. So I just figure. ahh i had an engine i tore apart that had extreme blow by. took it apart and #3 was half melted to the rings! I didnt think so either but, I didnt build it and I dont know the streetable limits of an aircooled engine. Domestic V8s all day. I'm gonna do some research on it. In the meantime found a nicely built 1800cc for a song thats gonna go in it. There is a reason it is a song, and im sure its not an 1800. Ohhhh you sceptical Vw person. Yes many a person has been taken advantage of yet, I just happen to know this fellow. I am sure its an 1836 er something like that. Always gotta call my BS huh? I also happen to know where another 1836ish Bernnie Begman engine for a good deal but, not a song. I can buy the whole baja its in for 2500. Just get the motor, or is that the one with the bad head? Usually used motors from bajas or buggys arent the best bet cause they are beat. 2 different ones! The Bernnie engine has a bad head. try to just get the engine. Well months later I finally tore it down and 1 of my heads has a hole burnt through it! Yay! New heads are hear. Getting them bored out monday and hopefully running next week! It lives!!!! Oh it lives!!!!!! I am so stoked! I cruised a little today.